What’s on offer for rewards credit cards? What’s on offer for flight rewards credit cards? Do credit card rewards points expire? Credit card reward programs can look seriously attractive from a distance, but is a rewards card right for you? You can use our credit card rewards selector to filter the comparison results to show the credit card features you’re interested in. We also outline the type of rewards available for each card we researched in our star ratings report. Getting cash back is a reward that would appeal to just about anyone. These cards reward you with a refund of a certain percentage (usually from 0.5% – 1%) of your spending. If you are comfortable using the credit card for most of your spending to maximise your cash back rewards, this might be a good option. Cardholders earn points towards flights, travel insurance, concierge services, and merchandise from the card’s partner airline. You can usually also earn bonus points for buying your flights on your rewards credit card. 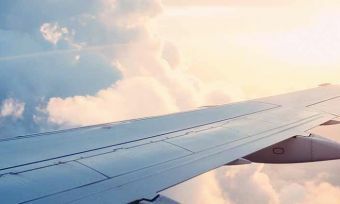 Obviously, these cards are popular with people who fly frequently for work or leisure, but they’re also useful for people who save up their points for years towards a long-distance or around-the-world trip. These cards are less useful for people who spend only $12,000 or less per year on their card, as they will probably not accumulate enough points to make the rewards program worthwhile. Merchandise reward cards may be appealing for shopaholics! Merchandise cards offer rewards you can redeem at stores or outlets you love. Merchandise covers a wide range of rewards including tickets to sports events or concerts, gift cards, restaurants, holiday accommodation, or fashion items. Unlike the other types of rewards, instant rewards are benefits that you receive automatically at point of sale, such as an exclusive discount and 2-for-1 offers. Rewards cards can potentially charge a much higher interest rate than low-rate, no frills cards – usually between 16.95% and 20.95%, according to Canstar’s findings as at April 2016. Non-rewards credit cards can start as low as 12.69%, according to Canstar’s latest research. So, if you don’t spend a lot on your card or you find you can’t pay it off in full each month, a rewards card might just be an incentive to spend more than you can afford! On the other hand, if you do spend a lot and pay it off every month, you could do quite well out of the right rewards card. According to Statistics New Zealand’s June 2016 figures, credit card holders made 128 million transactions during the month, across all industries, with an average value of $49. The total amount spent across all transactions was $6.3 billion. This is an increase of 1% on the previous month. With all this money being put on the plastic, it makes sense to shop around for the best interest rates for Credit Card Rewards, and to turn your spending into rewards most suited to you. Annual fee: charged for administration of your line of credit. CANSTAR research has found an average annual fee for a rewards credit card to be approximately $95, but it can range as high as $395. Additional cardholder fee: charged to issue a second person with a card linked to the rewards credit card account. Fee costs can vary greatly. Balance transfer fee: charged to transfer the balance of another credit card onto your rewards credit card. It may be charged as a percentage of the amount you transferred. Cash advance fee: charged when you use your credit card to get cash out from an ATM, buy foreign currency, or buy travelers cheques. International transaction fee: charged to process purchases you make while overseas, or purchases made in a currency other than New Zealand dollars. These fees are a percentage of the purchase price, so the cost adds up quickly. Late fee: charged if you do not pay the minimum amount due on your monthly bill. Instead of waiting for your bill to pay it, you can set up a direct debit automatic payment with the bank for the minimum amount every month. Overdraft or over-limit fee: charged when you spend more than your credit card limit. Non-bank ATM fee: charged by your bank when you use an ATM from a different bank to make a balance enquiry or cash withdrawal. Replacement card fee charged if your card is lost or stolen and must be replaced with a new card. The right credit card reward for you will depend on your spending habits and the way you use your credit card. While CANSTAR can only provide general advice on this, we researched 45 credit card rewards from 10 providers to help guide the decision process. Choose a reward you’ll actually use. It’s not all about frequent flyer points. Different cards offer different rewards in different forms and sizes, and some may be harder for you to redeem than others. If the rewards on offer for a card aren’t going to provide you with a material benefit, look for something else. Many rewards cards are now also universally-friendly, as they offer rewards points that can be redeemed in a wide variety of ways and for different types of rewards. Choose a card that suits your spending level. Choose a rewards credit card that matches the amount of money you spend on credit every year. We rate rewards cards according to four different yearly spending categories: $12,000, $24,000, $60,000 and $120,000. You can figure out your spending profile from your monthly credit card bill – is it for $1,000, $2,000, $5,000, or $10,000 and up? Rewards cards can give you incentive to spend more on credit, but remember to be disciplined. We don’t want to add to the massive amount of credit card debt in New Zealand. If you don’t use your credit card much or you don’t actually need one, then signing up for a rewards credit card wouldn’t be worth it for you and could cause unnecessary debt. Choose a card where the rewards outweigh the cost. Whether or not a card is good value depends on whether the rewards earned each year cancel out the high costs of owning the card. You might not enjoy it, but reading the fine print in your credit card’s product disclosure statement is vital. You need to know whether there are any extra exemptions or fees that would make your ‘rewards’ useless. Annual fee: You can work out whether the fee is worth it by calculating the net rewards return from the dollar value of points earned each year, less the annual fee. For example, let’s say you spend $24,000 in a year and earned 24,000 points. Divide the number of points earned by the number of points needed to earn $1 back. You want a high ‘earn rate’ so you can build points quickly, but those points need to be worth something. If your card gives you 150 points to the dollar, you’ve earned $160 in rewards that year. Then subtract your $100 annual fee, and you’re left with $60 of extra rewards earned that year. However, if you only spent $12,000 that year, that only earned $80 in rewards and didn’t cover the $100 annual fee. Interest rate: The higher interest rates for rewards cards can be dangerous for non-disciplined spenders. If you’re paying any interest, the card quickly gets far too expensive to be worth it. You want to know you can pay off the balance before any interest gets charged. Look for good bonus offers. There are a few ways to make the most of the free benefits on a rewards credit card. Look for bonus offers to boost your points balance. Many cards offer a lump sum of bonus points just for signing up, often with conditions or a shorter expiry time attached. Also, remember to use any helpful extras that come with the card, such as free travel insurance or concierge services. Check that cards with these extra benefits don’t have a higher annual fee. Certain cards earn more points from certain partner businesses. You might have a higher earn rate when you spend at the supermarket than at service stations or restaurants. Know where your card will be the most valuable to you. Check for silent points killers. Points redeeming: Some cards make it more difficult to redeem rewards than others. For example, you might have saved up enough frequent flyer points for a posh business-class flight overseas, but if the airline doesn’t allocate any frequent flyer seats on the flight you want, the points are worthless. Points capping: Some cards have a cap on the number of points you can earn in a year. Make sure that the limit is not so low that it stops you from getting any value out of the card. Points expiry: Choose a card where points don’t expire in a hurry. It would be heart-breaking to save up 500,000 points for a holiday and then see them disappear before you book the flight. Thankfully, many cards have rewards points that do not expire. Please note that these are a general explanation of the meaning of terms used in relation to credit card rewards. Your bank or financial institution may use different terms, and you should read the terms and conditions of your credit card carefully to understand all rewards, features, fees and charges, and interest rates that may apply to your card. Annual fee: A fee charged annually for the use of the credit card, to cover the administration costs of the line of credit. Automatic transfer: A system where a bill is paid by one bank automatically transferring money into an account when the bill comes due. Also known as direct debit. Auto-redemption: A system you can set up with your provider where every time you reach a certain number of points, they are automatically redeemed in the method of your choice. Average daily balance: The average daily balance of your card is determined by adding up all balances during the month and dividing the total sum by the number of days in the month. With most lenders, the annual interest rate is then applied to that “daily” amount. Balance transfer: Transferring the outstanding balance of one credit card to another card, usually one with a better (lower) rate. Bankruptcy: This is when someone’s debt problems become so serious that they are unable to pay their existing debts and bills. They can apply to a court to be declared bankrupt, and any assets or savings they have can be used to pay off their debts. They can then wait a certain time period to have that bankruptcy removed from their record, or apply for it to be removed earlier. Big spender: Credit card users who spend a lot on their cards every month and always pay off the full balance. Rewards credit cards are useful for these cardholders because they spend enough to earn a significant amount of rewards points. Cash advance: Withdrawing cash from a line of credit. Usually incurs a cash advance fee and/or a higher interest rate. Cash advance fee: A fee charged when you use your credit card to get cash out from an ATM, buy foreign currency, buy travelers cheques, or pay a gambling debt. The fee can be a flat dollar amount or a percentage of the amount withdrawn. Caveat emptor: Latin for “let the buyer beware”. In financial situations, this phrase means that a buyer should be careful to examine a product?s terms and conditions, before signing up for the product. 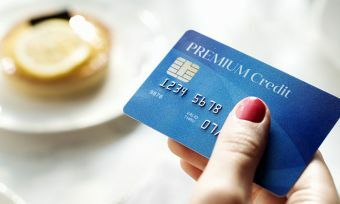 Credit limit: The maximum amount you can spend using your credit card before having to pay off some of the balance. Credit report or credit history: A report from a credit agency that contains a history of your payments on current and previous credit cards and loans. Banks and other lenders use your credit report to decide how likely you are to repay a future debt and whether or not to lend money to you. Find out how to check your credit rating. Credit rating or credit score: A numerical score that represents your credit-worthiness, based on your credit repayment history. The score is based on whether you pay your bills on time, your current level of debt, the types of credit and loans you have, and the length of your credit history. Your credit rating and credit report are used by banks and lenders when deciding whether or not to lend money to you. Debit card: Also known as a bank card or a cheque card. Allows you to access the money in your savings or checking account to make purchases, and requires that you enter your PIN number. Default: When a cardholder fails to make the minimum required payment on their credit card bill, loan, or other line of credit. Defaults are a serious black mark on your credit report and negatively affect your credit rating. EFT: Electronic Funds Transfer. The electronic transfer of money between accounts by ATMs, home computers and EFTPOS machines. EFTPOS: Electronic Funds Transfer at Point Of Sale. Usually refers to a small machine that merchants use to receive payments from a customer’s credit card, debit card or gift card. Everyday spender: Credit card users who use their credit cards for everyday purchases and pay off their balances each month. Full balance: The entire amount owing on your card that month, including any purchases made during the month, any amounts unpaid from previous bills, and any interest or fees charged. Habitual spender: Credit card users who keep a revolving debt on their credit card and don’t manage to pay it off each month. Interchange fee: A fee charged by your bank for a merchant’s bank to process a payment via your credit card. Interest rate: The rate at which your outstanding balance increases per month if your bill is not paid in full. Interest-free days: The number of days you have to pay your bill in full before interest is charged on the outstanding balance. It is the period of time between the date of a purchase and when the payment is due. Introductory rate: An initial interest rate offered to entice new cardholders to sign up for a credit card. These rates usually begin low but revert to the standard rates after 6 months or so. Merchant: Someone who sells goods or services to customers for payment. Minimum payment: The number listed on your bill as the minimum your bank requires you to pay off your credit card balance for that month. 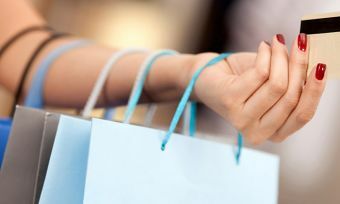 Occasional spender: Credit card users who only spend in splurges or on impulse (holidays, emergencies) and then spend months paying the balance off. Ombudsman: If you have a dispute with your bank and haven’t been able to resolve it through their internal complaint resolution process, you can contact the Insurance and Financial Services Ombudsman in New Zealand on 0800 888 202. It is a free and independent service that resolves disputes with banks and other financial institution. 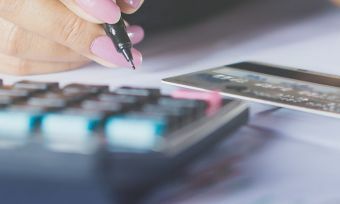 Overdraft fee: An overdraft occurs when you make any type of payment when you don’t have that amount of money in your account, whether it is a savings or checking account. The bank will extend credit up to a maximum amount, the overdraft limit. Interest is charged daily on the balance of your overdraft amount. Over-limit fee: A penalty fee charged to you for exceeding the credit limit on your credit card. Penalty fees: Fees charged if you violate the terms of your cardholder contract. Over-limit fees are an example of a penalty fee. Pre-approval: An initial notification that a customer is likely to be approved for a certain credit limit if they apply for that type of credit card. This is based on the bank’s information about their credit history as opposed to their official credit report, so it does not guarantee the customer will actually be approved if they apply. RBNZ cash rate: The overnight interest rate that the Reserve Bank of New Zealand offers financial institutions to settle-up on inter-bank transactions. Revolving account: An account where repayments are not fixed to a certain number of payments of a certain amount, and the account stays open even if the full balance is not paid off every month. Credit cards are the most common type of revolving account. Rewards: Benefits that come from using a rewards credit card, in proportion to the amount of money spent. Rewards come in four main types: cash back, frequent flyer miles, merchandise (shopping vouchers), and instant or general rewards. Switching: Changing from one product to another with the same financial institution, e.g. switching from a rewards credit card to a savings account with a debit card attached. Universal default: Where one financial institution treats a borrower as if they had defaulted with them because the borrower defaulted with a different institution. In 2016, we rated 45 credit card rewards offered by 10 lenders, according to the value of rewards they offered to spenders at different levels. Cash rewards: These rewards suit customers looking for cash back or shopping vouchers. Programs must offer direct cash back, shopping vouchers, or gift cards to be eligible for a rating under this profile. General rewards: These rewards suit customers looking for a choice of options when redeeming points. Programs must offer at least one of the following types of rewards to be eligible: cash, shopping vouchers, merchandise, automotive, entertainment, lifestyle, food and beverage, or additional rewards. Frequent flyer rewards: These rewards suit customers looking for flights or other travel products. Programs must have at least one frequent flyer partner to be eligible. Who offers credit card rewards in New Zealand? American Express: American Express was founded in 1850 and now issue the world’s largest number of credit cards. Most of their cards offer rewards in all four categories. ANZ: ANZ is one of the largest companies in Australia and New Zealand. ANZ world headquarters is located in Melbourne, where it first opened an office as the Bank of Australasia in the 1830s. Offers cashback and airpoints rewards. ASB: ASB opens in New Zealand on Auckland’s Queen Street in 1847. Offers cash back and merchandise rewards. BNZ: One of New Zealand’s largest banks, BNZ opened in Auckland in 1861. BNZ offers merchandise, cashback and airpoints rewards. Diners Club: Diners Club was founded in 1950 and created the first credit card in the USA. They offer rewards in all four categories, and you can earn unlimited points with no expiry. Gem (formerly GE Money): Gem has customers in New Zealand and Australia. They offer Mastercard and Myer Visa options, with rewards in three categories, excluding cash back. Kiwibank: Kiwibank is owned by the New Zealand Government and is a subsidiary of state-owned enterprise New Zealand Post Limited. It was founded in May 2001. Kiwibank offers airpoint Credit Card Rewards. Warehouse money: Warehouse Money is a relatively new player, launching at the end of 2015. It is part of iconic Kiwi retailer, The Warehouse. Warehouse money offers merchandise vouchers as it Credit Card Rewards. Westpac: Westpac – then Bank of New South Wales – formed in 1861. In 1982, it changed its name to Westpac. 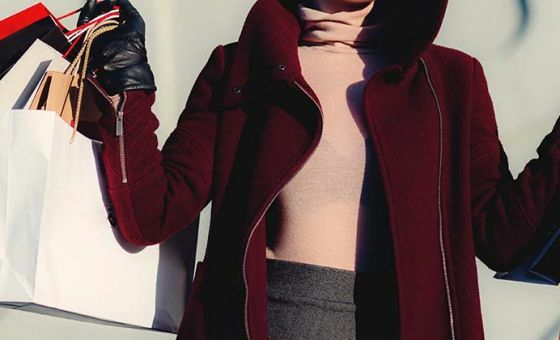 Westpac now offers merchandise, cash back and flight rewards. How much are your credit card points worth? Rewards: What do people want? Should you get a rewards card? Travelling overseas with your credit card? What are our Rewards profiles? What rewards points could you earn? What is Westpac’s Airpoints™ Debit MasterCard? What’s new in the credit card rewards market? Which rewards cards include airport lounge access?